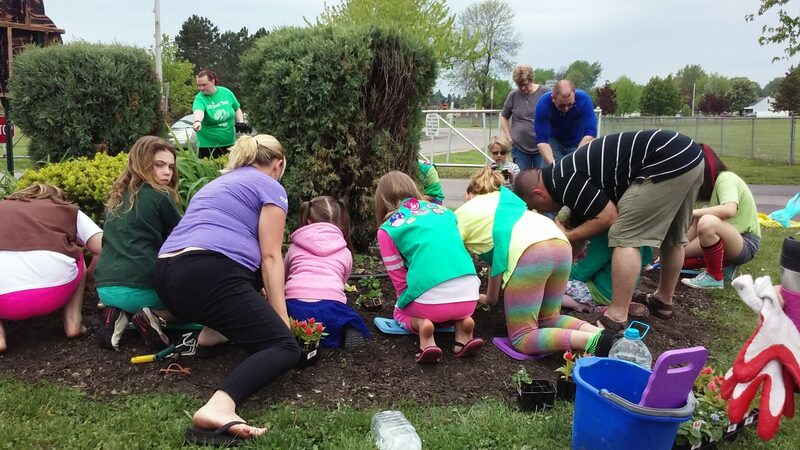 CHEEKTOWAGA, N.Y. – Cheektowaga Girl Scouts Troops spent the better part of Sunday morning planting flowers at Town Park. 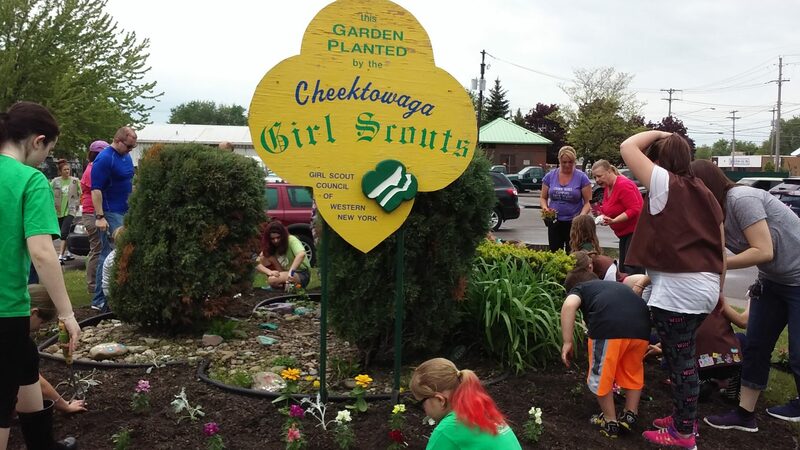 Four troops from the Girl Scouts of Western New York planted the flowers at the Harlem Road entrance to Town Park. The leader of Troop No. 30161, Wendy Streebel said the annual event is held every year on the 3rd Monday in May. 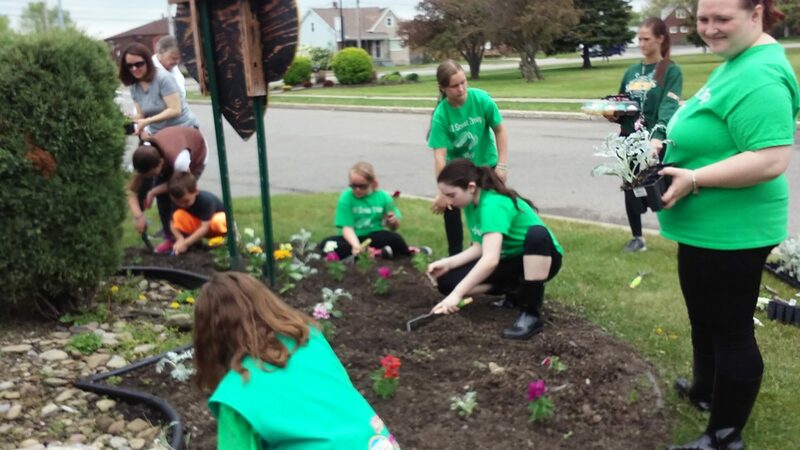 Each Troop buys a flat of flowers for the girls to plant and they maintain the flowers throughout the season. 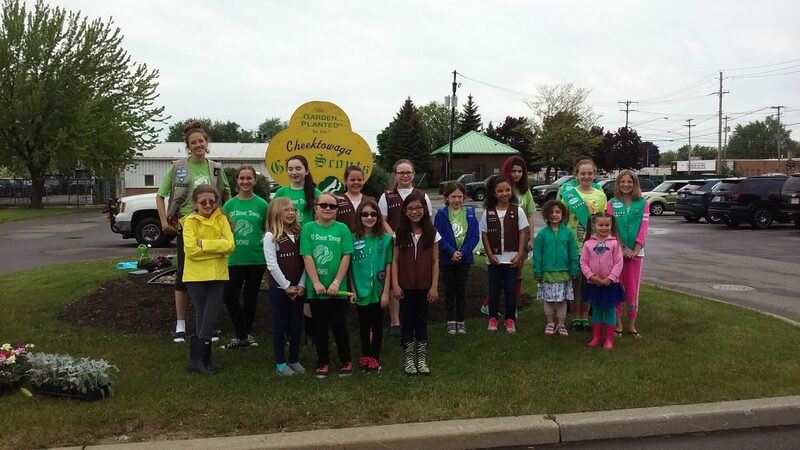 Girl Scout Troops 30161, 30399, 30491 and 30423 participated. A previous version of the article said the Town purchases the flowers according to a Troop leader. 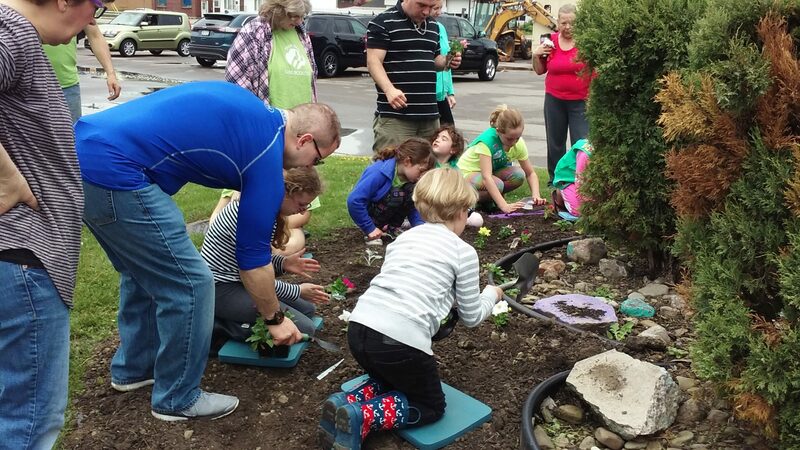 An email from Troop 30423 Monday morning said each Troop buys a flat of flowers.